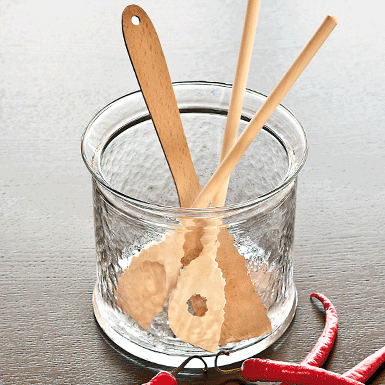 This utensil jar with the typical Glasi glass structure fits into even the most modern kitchen! Supplied with the three wood utensils shown in the picture! Blown by mouth into the mould. Rim melted.